Welcome to our all new website and blog dedicated to helping you, our existing and potential, auto wash clients. 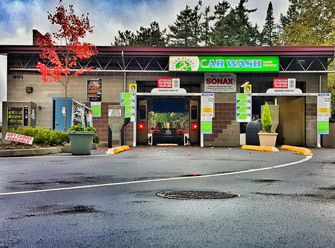 On our all new website, you will find a list of our earth friendly car wash packages, exclusive VIP service, and company vehicle fleet program. You can also learn more about why we we use Water Management Technology to convert water at our car wash.
We are also excited to announce the mobile version of our website that puts all of these features in the palm of your hand. Please add us to the home screen of your iPhone, Android or other smart phone today. Just pull up our website on your device to experience our mobile version! Thank you for visiting our all new website, check back often to view new blog posts.